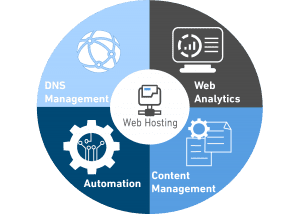 OneNet offers a sophisticated web hosting platform, utilizing cPanel technology. OneNet offers web hosting for $50/year for internet customers and $100/year for non-internet customers. *OneNet may require content management systems (WordPress, Drupal, etc.) running on our shared web hosting be updated to the latest fully supported versions.